A new treatment for wet age-related macular degeneration (AMD) may be a step closer after researchers secured more than £5m to test a new antibody. The funding from the Medical Research Council will be used to see if the drug is safe for humans and whether it will halt the disease in patients who are no longer responsive to the standard treatment. 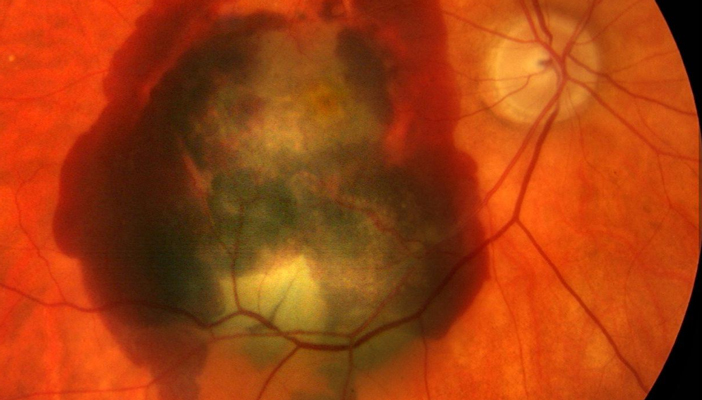 Researchers at the UCL Institute of Ophthalmology and Moorfields Eye Hospital will conduct clinical trials into the use of a humanised monoclonal antibody to treat patients with AMD. The treatment was first featured in a new clinical update by NB Online that features new research and potential ground breaking treatments. AMD is the leading cause of severe vision loss in people over the age of 60. More than three million people in Europe and North America suffer from a form of wet AMD. Current treatments involve injections which block a protein known as VEGF (vascular endothelial growth factor). The protein has an important role because it stimulates the formation of new blood vessels needed for healthy circulation and for healing damaged tissue. But in disease, the new blood vessels that are formed are abnormal and, in the case of AMD, grow underneath the macula (the central part of the retina) and leak fluid. This leakage, together with bleeds and scar tissue, eventually leads to loss of central vision and distortions where, for example, straight lines appear wavy. Preventing the abnormal growth arrests the course of the disease. Unfortunately, the existing treatment doesn’t work for 10 to 15 per cent of patients and their eyesight deteriorates. Professors John Greenwood and Stephen Moss who are spearheading the potential breakthrough identified a protein called LRG1 which also causes the abnormal vessel growth. They developed a monoclonal antibody – Magacizumab – which, in mice, specifically targets LRG1 and prevents the formation of abnormal blood vessels. If the trials are successful, the team will then assess whether the treatment works for newly diagnosed patients. Professor Moss said: “Around 40,000 people a year develop wet AMD and it severely limits what they can do and their enjoyment of life. If the trial is successful, it will be followed by larger trials and, we hope, development by a pharmaceutical company.” Professor John Greenwood added, “We are particularly excited by this approach as it targets a novel pathway involved in abnormal vessel formation”. The team would like to recruit patients for the trial in 2018, once the safety of this new potential therapy has been assessed in animal studies.